This is most reliable system, fabricated with state of art electronic component. 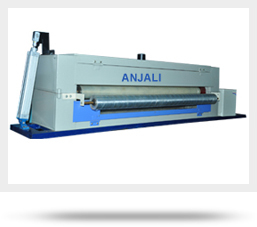 Anjali H.F Panel functions perfectly for years, without aging or loss of power. They are equipped with an advance electronic circuit, which continuously monitors all operational parameters, so that one can virtually forged the H.F Panels after setting it for required power output & treatment level. The high supersonic frequency operation provides a really effective & even surface treatment of plastic material and guaranties increased bonding and adhesion without problems of mat surface, pinholes. For PP, LDPE, HMLLDPE, BOPP, WOVEN FABRIC, MULTILAYER FILMS & FIBERGLASS CLOTH. Even on high speed plant. This new technique makes it possible to offer a compact & effective H.F. Treaters & Panels, which are more reliable, more durable & more economical than other available treating system of its class. 5, Ambica Estate, Opp. Dhal Engg. G.D.